Earlier this year, Hayley joined us at XDream, assisting in the shop and online. We'd like to congratulate her on graduating and accepting a graduate role with Williams F1. Taking over from Hayley, Alex will be managing the shop most weekends and is able to provide advice and assistance with your gear needs. Alex is an Engineering student at Southampton University. He started skydiving in 2015 and is currently on around 100 jumps with a focus on FS and FF. 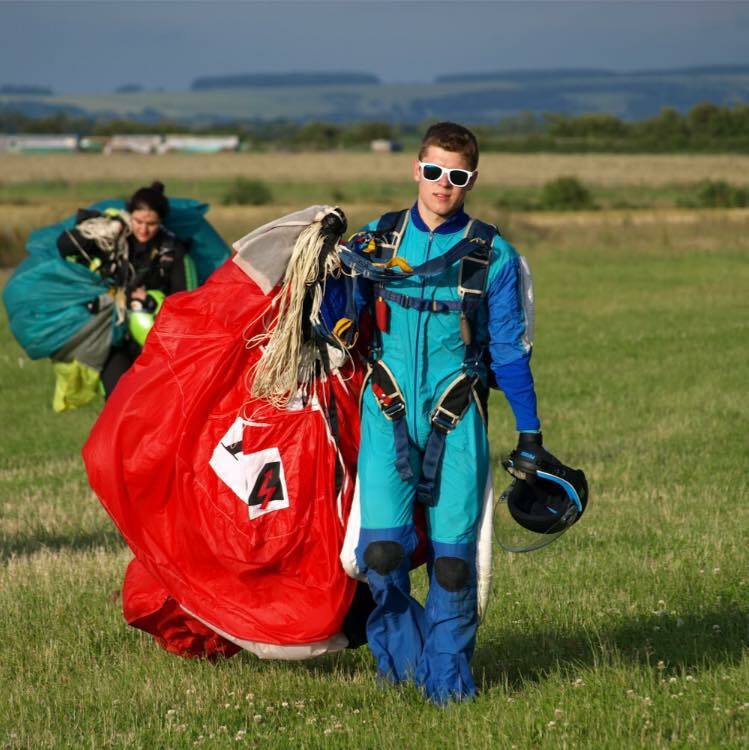 Alex is the Vice Captain of the Southampton University Skydiving Club (SUSC) and foreign trip organiser for the BCPA. If you need any help or advice, please drop us an email using our contact form or come into our shop on Dunkeswell Airfield. We do have one remaining vacancy for a customer service adviser please see (https://xdsports.uk/careers) for more information.